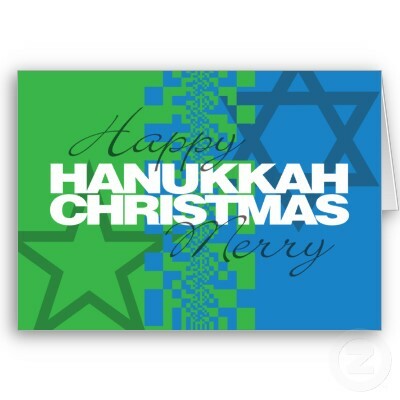 America’s fairly recent infection by hyper-sensitivity rises to fever pitch at this time of the year, when Christians celebrate the birth of Jesus Christ, and also the secular celebration of Christmas – which, incidentally, is not limited to Christians – and Jewish Americans celebrate Chanukah, the Festival of Lights. Since there are far more Christians in the US (78 percent of Americans identify themselves as Christian) than those of other faiths, or those who claim no religion, things associated with Christianity and Christmas attract the most attention. People get upset by all manner of things, such as someone saying or doing the “wrong thing.” And, at this time of year the sight of religious objects like a cross, a nativity scene, or a menorah gets some folks upset. But those things have no inherent power; they can’t hurt anyone or turn people into zombies. Nevertheless, people run to the courts to have those objects removed. The infection has reached the point where one person or a few people who are “offended” by something can now deny hundreds or even thousands of people the opportunity to enjoy whatever that something is. It is the tyranny of the minority. People are too easily offended these days, and in response to the rising instances of offense being taken by someone or some group, the nannies in governments coast-to-coast have decreed that anything and everything that might give offense to anyone should be forever banished from the Earth. One object viewed as terribly offensive is a cross erected in the Mojave National Preserve in the desert on the California-Nevada border near Las Vegas, put there nearly 80 years ago as a memorial for veterans of World War I by the Veterans of Foreign Wars. The VFW originally owned the land on which the memorial was erected, but later donated it to the federal government. The sensitivity police at the American Civil Liberties Union mounted a legal challenge to the cross sitting there in the desert, perhaps at the behest of an offended descendent of a defeated Central Powers soldier. Or maybe just because it was a cross, in a desert. The ACLU bases its objections on the principle of separation of church and state, as if the mere presence of a religious symbol on government property somehow conveys the idea that whatever government body owns that property embraces whatever religion the symbol represents. The concept separating religion and government has come to command great respect – reverence, if you will – as if it actually was part of the US Constitution, which it is not. If only the property rights and other guarantees of liberty in the Bill of Rights, like our right to keep and bear arms, commanded as much respect. The hullabaloo arising from religious symbols appearing in places where some people don’t like them is sort of puzzling. Most folks understand that placing crosses, menorahs, the star and crescent or the Festivus pole on government property really does not mean the government actually endorses or promotes the beliefs represented by the symbol. There is nothing frightening or threatening in the mere appearance of religious symbols, where ever they appear. Religion has been a key force in this nation since before its creation, and adherence by generations past to the dominant religious principles provided a crucial stabilizing cultural influence, without which the nation would have floundered, and likely would have failed. What the various symbols, so feared by some, represent is nothing more than that reality being demonstrated through natural and traditional activities, nothing more. As we see happening now, our disintegrating culture parallels the increasing hostility toward religion. Today complaints about religious symbols, particularly nativity scenes at this time of the year, are routine. This mania has more recently spread to people and businesses that merely wish folks a “merry Christmas” or a “happy Chanukah.” The nannies prefer the bland and inoffensive phrase “happy holidays.” This is understandable: Nothing is more offensive than someone wishing you well. But in America if we don’t like or believe in Christmas, that’s okay. The First Amendment says that we are free to be, or to not be religious. So, a nativity, even if it’s on government property, doesn’t require anyone to look at it, if they’d rather not. No one is obligated by religious symbols to do anything, or believe anything in particular. Why do people allow themselves to be manipulated and offended by the appearance of inanimate objects? And tiding of the season to you, too, Buff!